Nespresso are always looking for new and exciting Limited Edition coffees to bring to you. They went back to the regions where coffee began, selecting beans that bring to life where it all started. 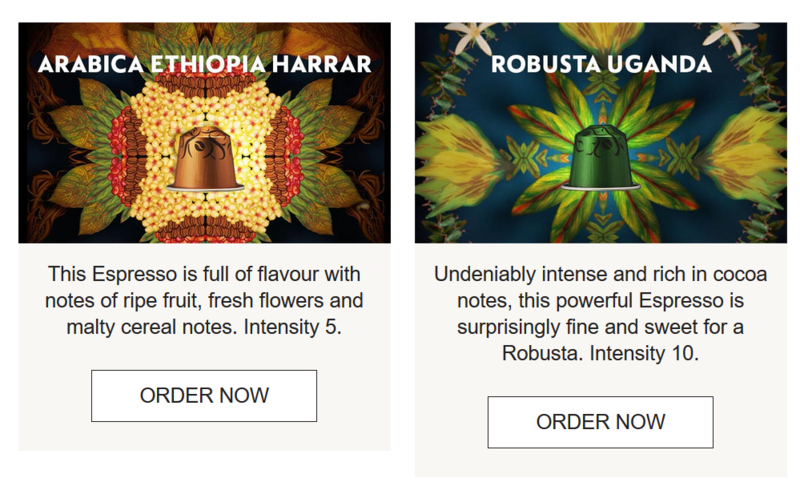 Let them introduce you to the contrasting flavours of Limited Edition Arabica Ethiopia Harrar and Robusta Uganda.